It's the first Tuesday in May and that means Tuesday Ten!!! Since May is Photo Month, I decided to have some fun and share some of the photos that are currently on the camera roll of my phone. We've done this before but it's always fun! It's always amazing to see how our camera roll reflects our lives and to think about how we ever survived without a camera at our fingertips anytime, anywhere! These aren't exactly the last 10 photos on my phone because some of those 10 are repetitive, boring, or of people I don't have permission to share. So, instead, I just chose 10 fairly recent ones to share. We had our spring break back at the end of March. The girls and I went to spend some time with my parents. 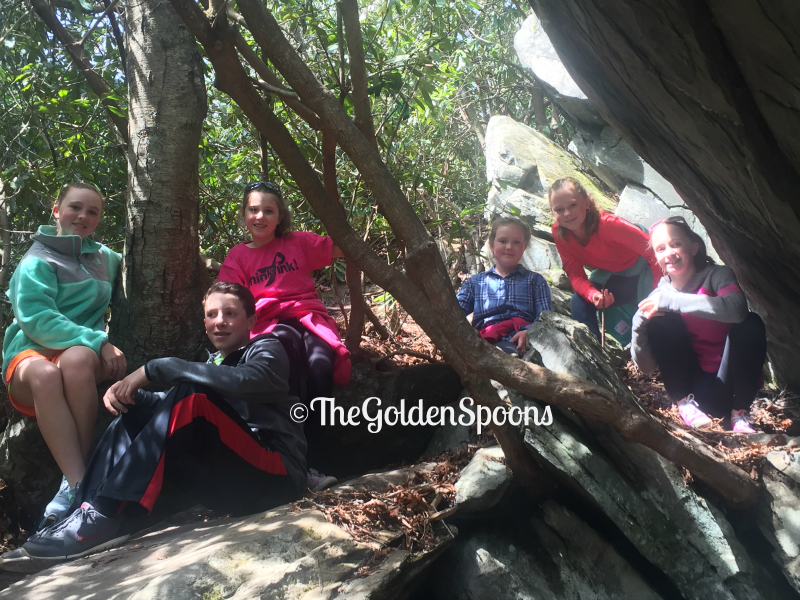 We had beautiful weather, so we went hiking one day with my brother and his three kids. This is a shot of all the cousins on some rocks on the trail. 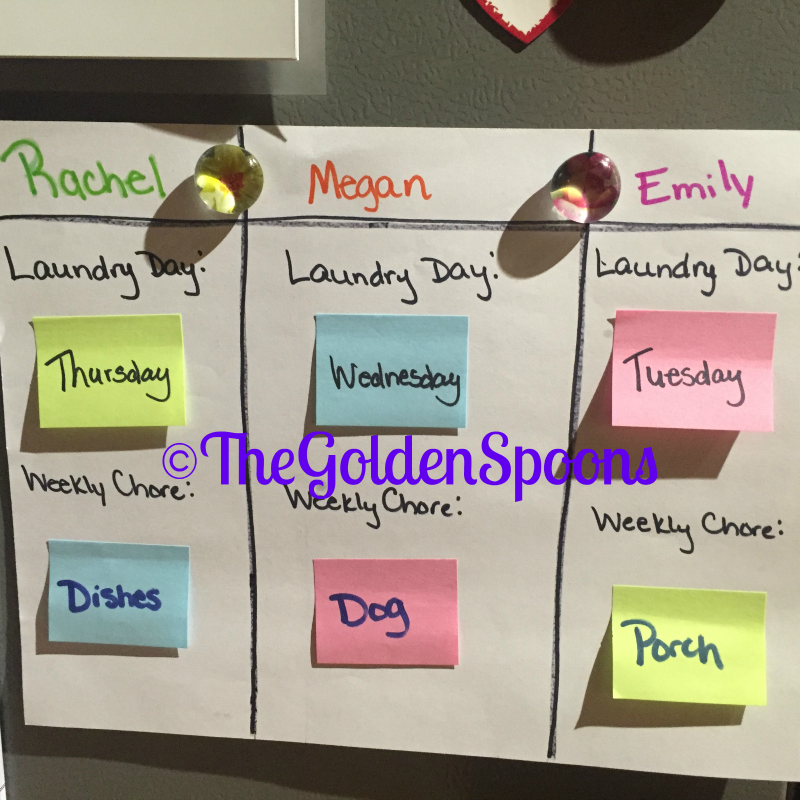 Have you seen that meme that's been going around the internet that says something about "There's nobody as full of hope as a parent with a new chore chart?" Well, when I first saw it, I had to chuckle because I had just put this on our refrigerator a couple days beforehand. So far, the weekly chore part is going pretty well. The Daily laundry assignments? Not so much. The job I have been doing at our church on an interim basis was recently made permanent. (Yay!) A couple weeks ago, all of the Christian Education staff went away for a planning retreat. We went to a cabin in the mountains that had a huge deck with a fabulous view. We were obsessed with watching the sunset off that deck in the evening. It was beautiful. 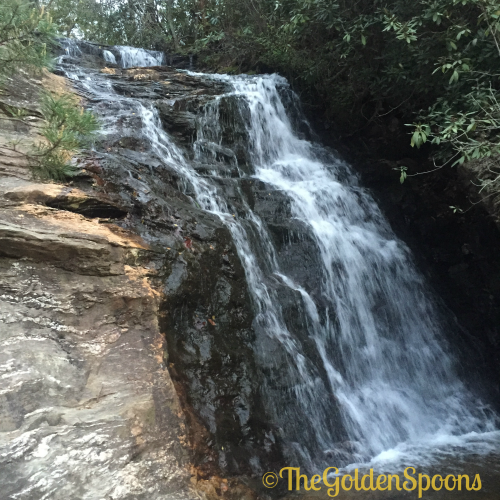 One evening, some co-workers and I went hiking and saw this beautiful waterfall. 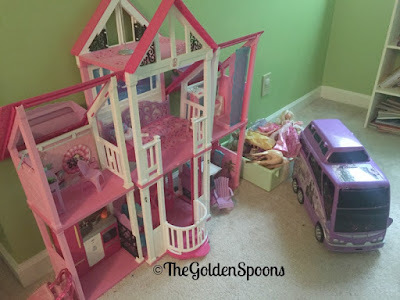 Recently, my youngest daughter, Emily, and I cleaned a lot of stuff in her room. It had really gotten our of hand! Anyway, I took a picture of this Barbie house and "accessories" to send to my sister in law to ask if she wanted to for her two year old daughter. The play house was a hand me down to Emily from another cousin. Emily just doesn't play with it anymore and it takes up a lot of space. The photo is still on my phone and, unfortunately, the Barbie house is still in Emily's room! Speaking of Emily, she is the only child I now who has ever been excited about orthodontia! 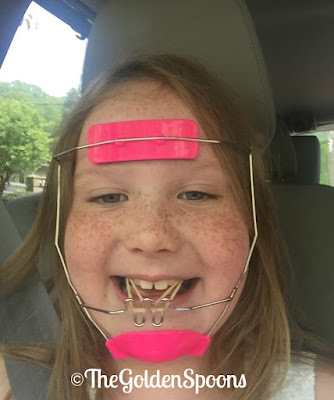 About a month ago, she got a palette expander that we have to turn periodically and, a couple weeks ago, she went back for this headgear. She actually only has to wear it at night while she sleeps, but she was so excited about it she put it on as soon as we got in the car and texted a picture to my husband. Last week, I actually had a morning without much on my to do list. It was a pretty day, so I seized the opportunity to get in a walk. 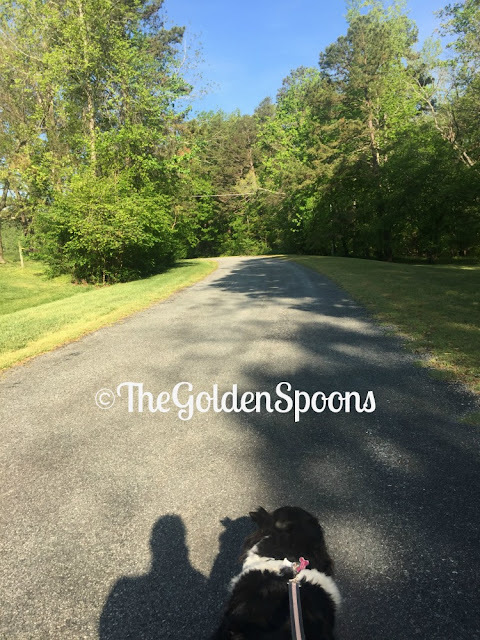 I took our overweight border collie, Sophie, along for some company and to get her a little exercise, too. When I said some of the photos on my phone were repetitive, this is what I meant! 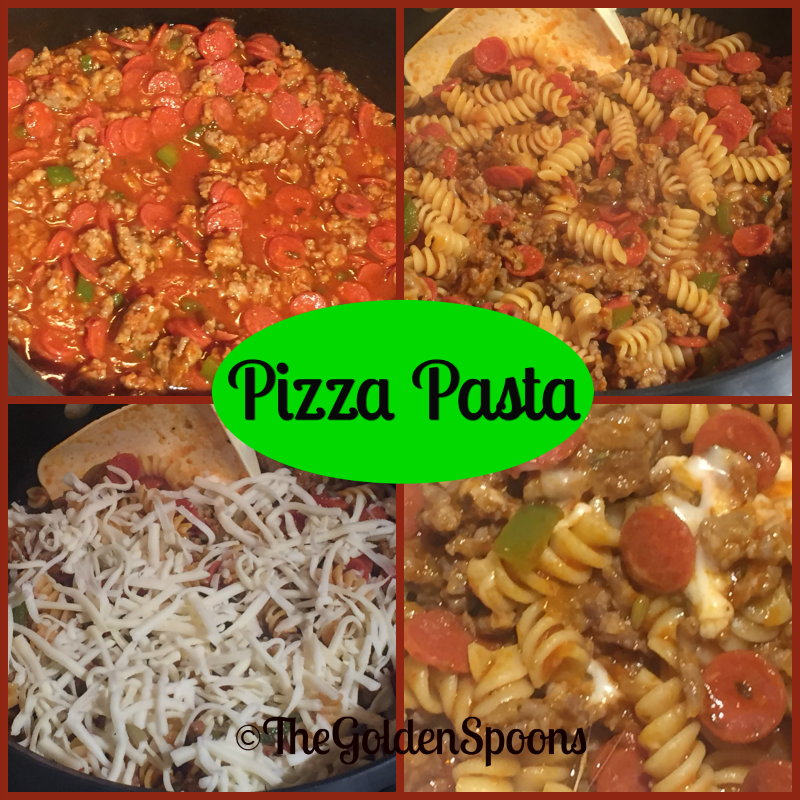 I mad this pizza pasta last night and took lots of photos thinking I could share it here on the blog. Then, I remembered that I had already shared a very similar casserole version. That one is from 2013, though, and this one was a stovetop version, so maybe I'll share again! That #13 there is my middle daughter, Megan. 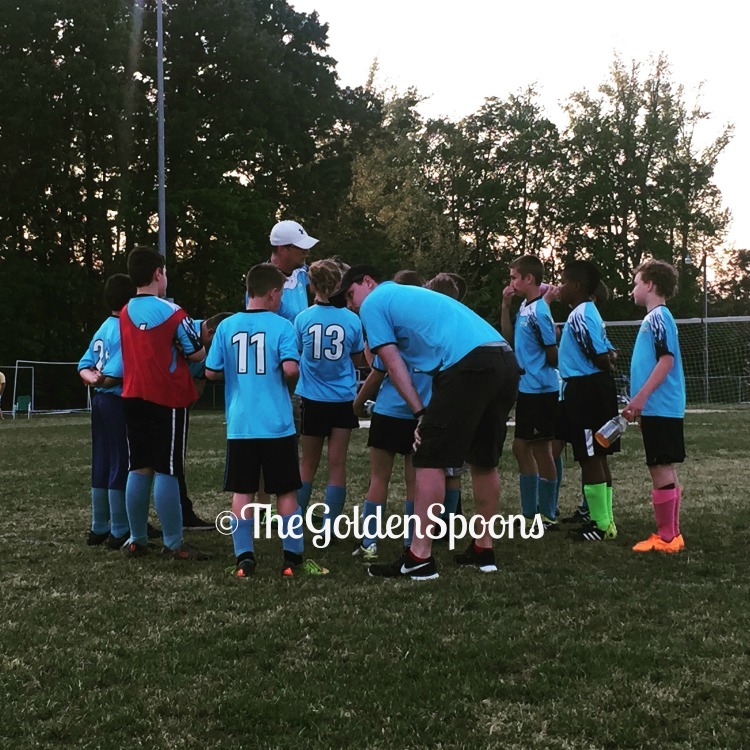 I took this at halftime of their tournament championship game last week. They lost the game, but they played hard. She loves soccer and has learned a lot of life lessons from playing. This is the photo I see every time I look at my phone because it's my screen background. 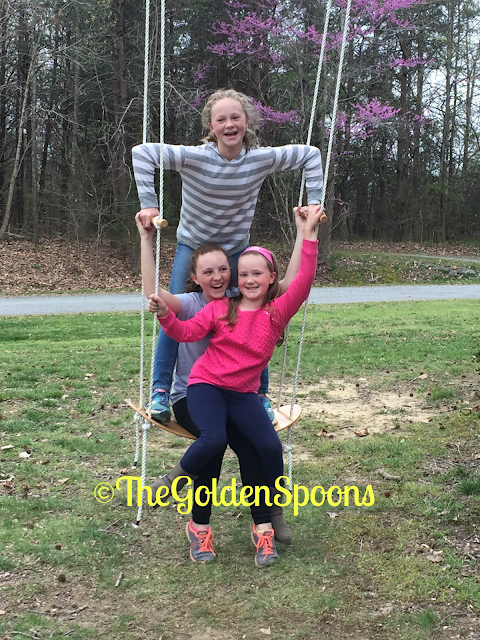 I love the happy expressions all my girls have and hope that I can always wrap my heart around that kind of joy. What photos are on your phone right now?